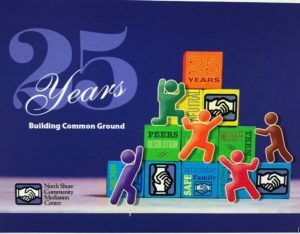 North Shore Community Mediation Center (NSCMC), an independent non-profit, incorporated in 1994, provides alternative dispute resolution and training services to the communities of Essex County. Volunteer mediators from NSCMC work to promote better understanding and communication by offering high quality mediation services to those in conflict. Trained mediators are experienced at helping people better listen, understand and talk to each other. They guide parties toward recognizing areas of agreement, highlighting realistic ways to move forward. Thousands of people have been served by the mediation process. NSCMC offers free, subsidized and reasonably priced mediation services to the courts, schools and community. In addition to mediation services and training, NSCMC provides a continuum of services including Facilitation, Restorative Practices and Conflict Coaching to organizations, schools, municipalities and workplaces. For additional event information and to buy tickets, see 'Save-the-Dates'. We hope to see you there! 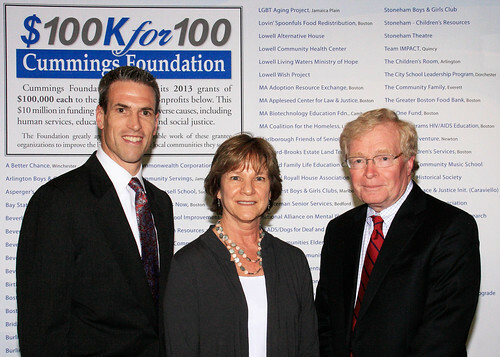 North Shore Community Mediation Center is one of the one-hundred businesses to be awarded a "$100kfor100" grant from the Cummings Foundation. This grant will be used to provide mediation services and training to members of the community, courts, municipalities, schools, and social services agencies in Essex County. Learn to manage conflict, develop communication and negotiation skills, and understand creative problem solving strategies in a highly interactive learning environment. CAN’T SEEM TO SEE EYE TO EYE? We are NSCMC and we can help! Learn more here.